We are a full service, boutique event planning and catering company servicing Nashville, Murfreesboro, and the surrounding Middle Tennessee area. From small informal gatherings to large social celebrations, STF can provide interesting and unique menus and event plans to fit your style and budget. We provide food and service that is second to none. Hospitality is in our blood and we love nothing more than watching our clients enjoy our food and relax at their own party. Since our start in 2005, STF has been growing and learning and morphing into an even better version of ourselves! Our commercial kitchen is now located in Murfreesboro, TN. We have a beautiful Client meeting room where we can provide consultations and host tastings. This is also where a lot of the magic of cooking happens. We then take the finished product to the party or finish cooking onsite as the case may be. As you may or may not know, catering is so much more than dropping off pans of food. Our team works to create an entire event experience for you and your guests. 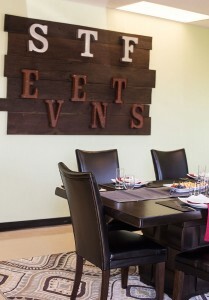 This means details from linens and glassware to amazing tablescaping and unique platters. We look forward to taking care of you in the near future! Our pledge is integrity, courtesy, and customer satisfaction. We strive to deliver top-quality service and creativity on every level with consistent professionalism. From high quality food to unique concepts, our goal is to complement and exceed the vision of our clients.